Blast wants to give a special gift to start the wet season! No cover charge, we only care about Music. Don´t worry about the rain, we have an indoor area where you and your friends, music and very good energy will create together a unique and immersive experience. 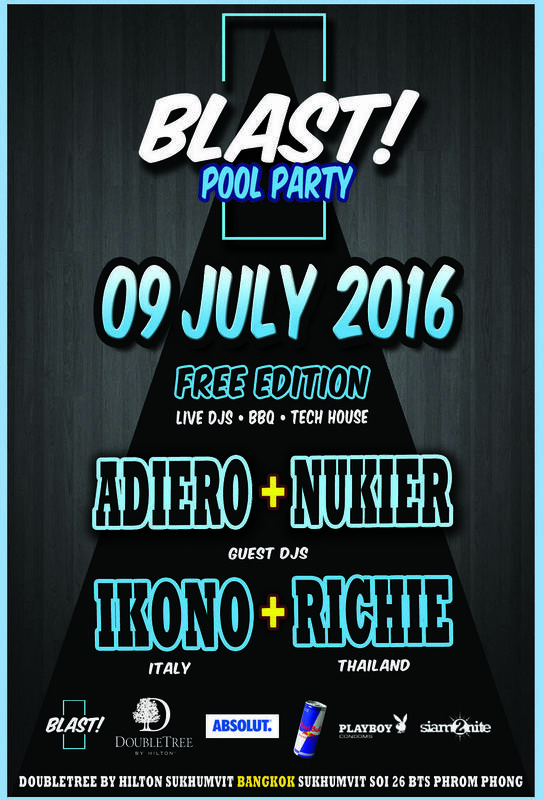 The craziest and funniest techno-house show takes Doubletree by Hilton Sukhumvit on Saturday 9th July ! Expect special guest from Elektro Delikatessen team, DJs Ikono + Richie as well as Blast.Bkk residents Adiero + Nukier to bring the best music to this colourful backdrop.